If you’re struggling with your weight, you’re not alone. More than 93 million adults in the United States carry an unhealthy amount of weight. Alexis Demetroulakos in Nutley, New Jersey, offering her services globally, is a Holistic Health Coach who has various plans and products to jump start EVERY body, typically beginning with a 30-day nutritional rebalancing plan she refers to as her “reset program” that can help you lose the weight and feel great. To learn more about Alexis’ weight-loss program, call to set up a free 15-minute consultation today or schedule an appointment online. If you want to look better and feel better, Alexis can help you get there and stay there with easy maintenance plans to make it a lifestyle you will actually fall in love with. What is the nutritional rebalancing plan for weight loss? The nutritional rebalancing plan is Alexis’ weight-loss program and includes options for food, diet, and exercise. After your consultation, Alexis designs a personalized program that fits your weight-loss goals, lifestyle, and health needs. You eat real food on Alexis’ weight-loss plan, and she provides you with a set meal plan, shopping list, and recipes to help make everything as easy as possible while you lose the weight. The diet also includes a superfoods regimen that’s clinically and scientifically backed, and cleanses your body at the cellular level, removing impurities and toxins, and helps cut food cravings. 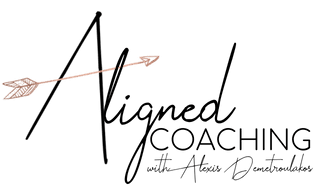 Alexis continues to work with you as you lose the weight and serves as your cheerleader, sounding board, and problem-solver for as long as you need. Every good weight-loss program should include an exercise plan. Like your diet, Alexis works one-on-one with you to develop a plan that fits your fitness level and weight-loss goals. As a former executive who worked 14-hour days, Alexis knows that time is a hot commodity, so she helps you figure how you can make time for YOU. Exercise not only helps you on your weight-loss journey but also reduces stress and releases endorphins that magically make you feel better. When you sign up for a weight-loss plan with Alexis, she is with you for life or as long as you’re committed to your new healthy lifestyle. Alexis knows that losing the weight is the easy part; keeping it off is when it gets hard. She provides you with a plan to help you maintain your new look and is there for you when things get tough. Weight loss doesn’t have to be hard, especially when you have the right plan and support. Call Alexis Demetroulakos today or schedule a consultation online.